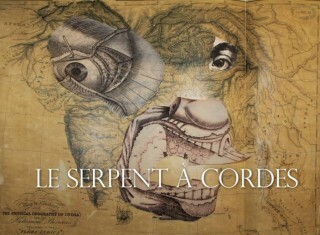 The String Snake (or Cord Snake) is the name of the fourth Lecture given on the Encyclopedia of Prof. Henry-Jacques Glaçon. It was premiered in Johannesburg on the 8-10th, at the Market Theater, in collaboration with the beautiful Bela quartet. This performance received the support of the South Africa French Institute and the General Delegation of Alliance Françaises of Paris in South Africa, Botswana, Lesotho, and Swaziland.